It’s been a while between blogs, but after a recent journey out activating SOTA summits with Pascal VK2IHL it’s time to share our tales! Our plan was simple, after looking at sotamaps.org a few weeks prior we decided there was far too many un-activated summits in Kanangra-Boyd National Park. So, we set out on a Friday afternoon for Dunphy’s campground and established camp a little before last light and just before the rain. Of course, I can’t think of more appropriate wheels to be getting there in than the land cruiser! After a bit more planning and close inspection of the Strava Global Heatmap I realised those that Cattle Dog Ridge was an inferior choice, clearly there was a known track up Black Horse Ridge instead. Better yet, we could add a contingency plan to just bush bashing off-track straight south from Ironmonger Hill by instead detouring to Coxs River and east along Breakfast Creek to before ascending Black Horse. With some rough routes planned and on the maps we were off! We were up early and walked out of Dunphys by 0630 after having a light rain early Friday night. It’s a nice day walk to VK2/CT-080, strangely a un-labeled, un-marked summit between the lower peaks of Ironmonger Hill and Ironpot Mountain along the ridge line. I’m always surprised how reluctant activators are to venture out to this little peak. It’s paltry four points might be it! Never the less, it didn’t take us too long to make it up to the summit and get activating. I’d foolishly bought an untested antenna, a HyEndFed Ultralight 10-15-20-40 EFHW but neglected to bring the 10m of feedline needed and instead tried to use 1m. This appeared to result in some terrible conditions all around so we quickly moved back to the old faithful 20-30-40-80 linked dipole from SOTABeams. Also with conditions being marginal we stepped the 817 up to 30 watts via the P50M amplifier for our 80 meter contacts which were marginal in the NVIS paths. We made our contacts quickly knowing that we had a long, long day of walking ahead of us. After a quick look over the cliff lines and drops around the ridge we quickly opted for our backup route down the spur to Coxs River. A brief rest, lunch and extra water picked up from the river before we turned east and started along the dry Breakfast creek bed. The only real highlight being an echidna trying to hide under a rock, a couple of startled beef stock and just towards the end two pig hunters on horse back maintaining the 1080 traps. Fortunately they told us a group of 8 had just come down the Black Horse Ridge track otherwise we may well have missed the track up out of the creek bed. So started Black Horse - boy what a hill! We climbed from 380 meters to 650 meters in 900 meters over a 90 minute effort. Personally I had the heavy pack with all the radio gear but Pascal was also lugging 4+ kilograms of water! Needless to say, we established camp not much further along the ridge for the night having ticked off about 15.5Km of our journey. Day 1 burned more water than we liked and we quickly agreed the plan had to be visiting Mobbs Swamp for water at the spring before anything else otherwise abort back to the car. Sadly on arrival the only potentially spring fed water was well and truly black and wriggling. Fortunately for us though, it had rained fairly solidly on Friday night filling a number of deep puddles around the spring in the rocks. We managed to filter out a full three liters so it was time to take a crack at Mount Warrigal. We ascended from the south western side with only 500 meters or so of scrub bashing from Mobbs up to the southern tip. The climbing up the hill was generally steeper than Black Horse with the extra fun of no established track what so ever. There was something marked on the map but we certainly never found it! I had read some discussion talking about access via the south but there are some seriously vertical cliffs so we gave it a miss after a quick look. 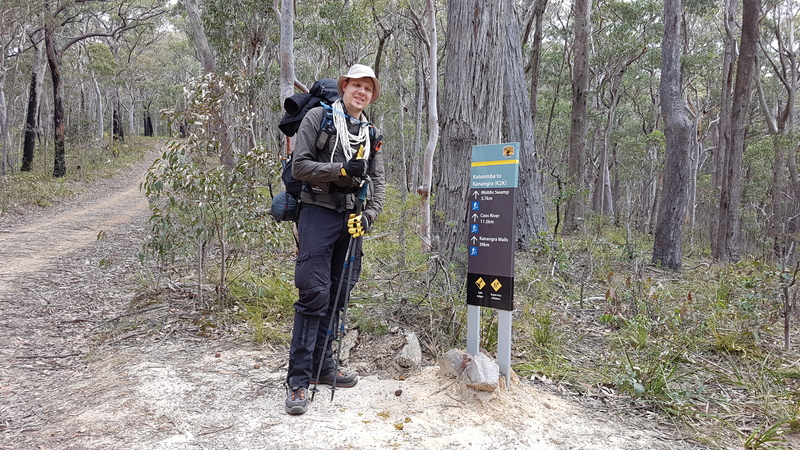 We continued around to the eastern face along Wombat Parade heading north-east. I had read Paul Ma’s notes on an ascent point further along marked by a particularly prominent tree. You’ll come across it near 4308 5228 and we quickly dumped our packs and took just the 817 and dipole up to the summit. From the bottom looking up it’s not too bad really and we bounded up quickly. Once you’re up the climb, you’ll be disappointed to know the activation zone is still a bit of a walk north. Needless to say when I say the altimeter tick up to 935 meters it was more than close enough for me! On the summit we quickly threw the brickies line into a tree and hoisted the dipole again. First up was a summit-to-summit contact with VK3GRA/P on VK3/VC-019 before we got a spot out. We didn’t hang around too long with the long trek back to the car and it was to be for the best later. Done and dusted, it was time to get back down to our packs and have some lunch before the long walk home. If we could find where we came up! In our excitement we’d neglected to actually mark the ascent and honestly the climb / scramble didn’t feel that bad. Still, standing at the top of the cliffs looking down it was a different story! Your GPS tracks are never frequent enough. If it’s dodgy, mark your ascent with tape or something else you can follow and remove on the way back down. Carry a handline! 10m is enough but 15m would be nice. Always have your PLB on you, not in your pack. After we sat and mused for a bit and I ate a spare muesli bar I’d stuffed in a pant pocket for later I built up the courage to adventure down past the cain to see what looked familiar. It was further down than I thought before we saw the track we had taken up the hill. I definitely was glad to have the handline out on the way back down. The trip up seemed far easier in retrospect! Nearly two and half hours later we finally had our packs back on and were setting out for home. 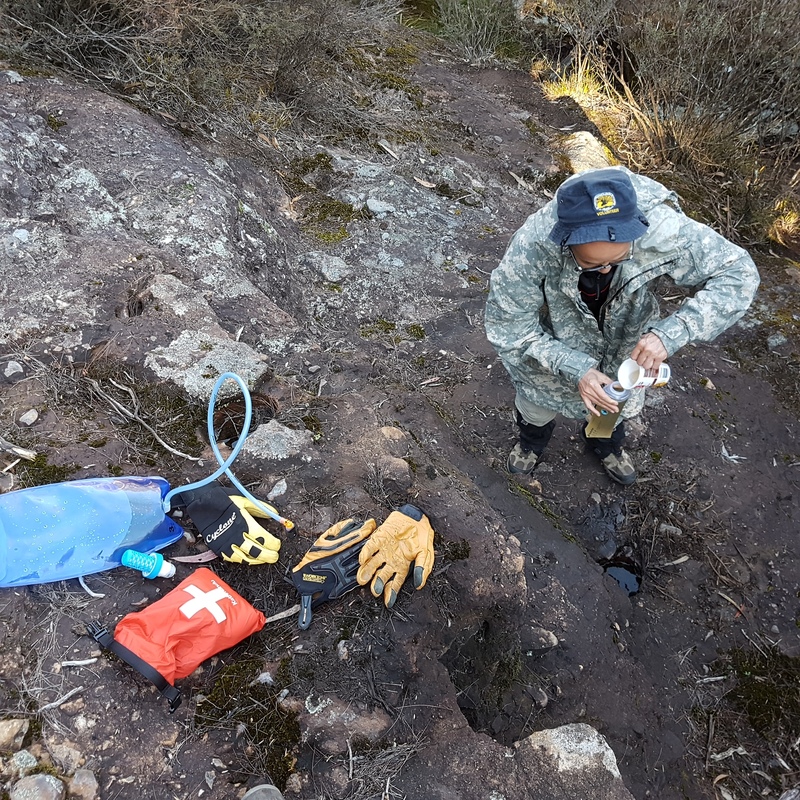 The handline came in handy again later at the north eastern escarpment where the track drops over the edge of a few tall rocks. I promised Pascal these would be the last big rocks and we continued out to the fire trail making it there around 14:30. We arrived back to Dunphys campground at 16:45 finding the land cruiser left abandoned by all other campers. Only the kangaroos to keep it company. No sooner had we come to a stop and the sky opened up again. We decided our timing was impeccable and wrote it up to a perfect end of a long, but very successful trip. 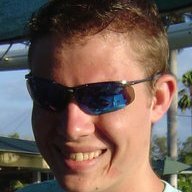 If your interested in the track log you can find that over at Ozultimate. Next up, either Mount Cloudmaker VK2/CT-015 or Mount Cookem VK2/CT-102 then on to a long slog through the tangle of summits around Yerranderie. Sadly VK2/CT-100 is firmly in the exclusion zone around Lake Burragorang along with VK2/IL-010 and VK2/IL-011. Fortunately we don’t need to figure out how to carry in enough water to get there and back! Good news everyone! I passed my exam and as of earlier this year joined the ranks of radio amateurs around the world. It has been a fun few months exploring all manner of things. Using the WIN System with a cheap Baofeng GT-3 MK II handheld during my trip to Austin where I spoke at Art Into Science. I was astounded by the density of repeaters in the US compared to our sparse coverage in VK. Taken looking west from the Colorado Tower in downtown Austin. The tower lights in the distance mark the AUSWST APRS repeater. 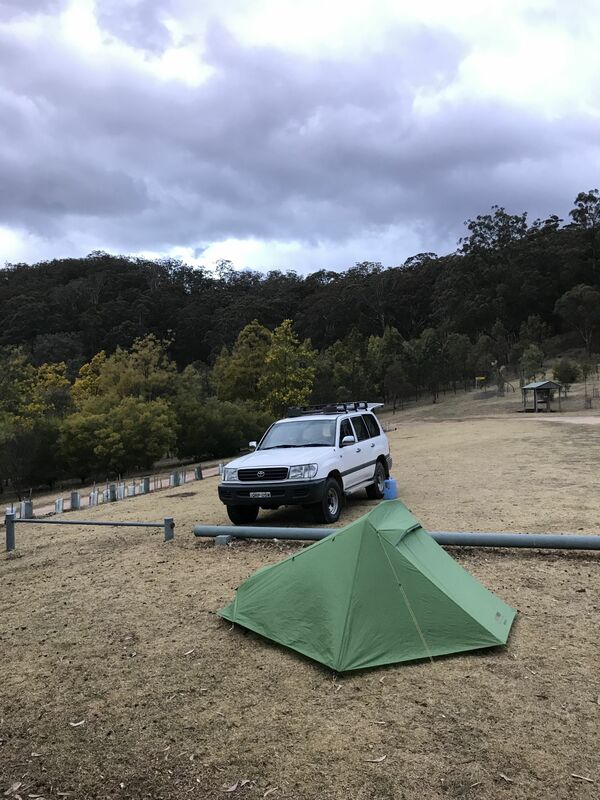 I’ve been building myself up to do Summits On The Air (SOTA) style activations as my main HF radio outlet since getting things working in inner Sydney would require herculean efforts. Here you can see where I stood up my squid pole and linked dipole to test everything and was making contacts into VK3 on 40 meters successfully despite it being nearly noon! A shot of my park bench overlooking Black Wattle Bay. I opt’ed to lug everything I had planned for a SOTA activation much to the amusement of on-lookers. I achieved my first SOTA activation for a grand total of one point recently by activating VK2/HU-094 Mount Yakaba. With only the FT-817 when 40 meters started fading it was time to pack up. Fortunately I just scraped in with the required four contacts! The view from the summit while only a few hundred meters was well worth the heat. This instalment of my blog is as usual a bit of a rant and a thinly veiled “Documentation to myself when I next forget how to do this”. 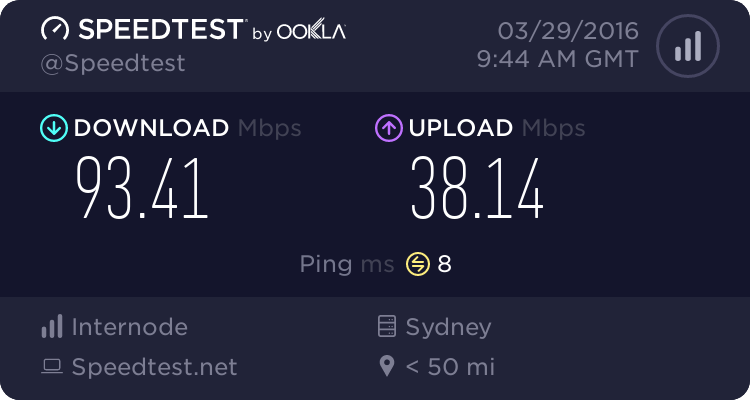 So I’ll set the scene - I have been gradually migrating things back to my home based hosting in Sydney (what with stable power and not abysmal VDSL2 NBN) rather than hosting in AWS, Vultr and about fifty other random SaaS services. Not to mention that I got very excited to get on board with Redhats Developer program, So what is one to do? Install it obviously. There are four 2TB SATA disks in a five bay hot swap caddy. As you can imagine I want a semi-respectable performance so I chose RAID10. Since I can’t boot on RAID10 I need to also create a RAID1 for /boot. We also want to use LVM because we are not scrubs (or on AWS). Ok that plan looks great - install time! 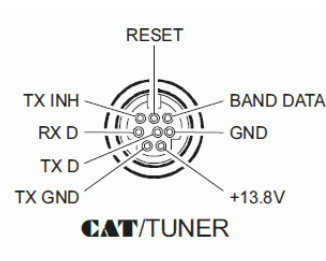 Note: Total caveat here is EFI. Since my old X9SCL+ hasn’t yet shed MBR based booting I don’t need to stuff around with EFI partitions. So I have skipped them since I was beyond patience by that point. If you need EFI I am keen to hear what lengths it takes to mirror the boot volumes. So I apologize for what is normally a blog light on screen shots but since this all anaconda GUI here we go. Don’t click the temping “Click here to create them automatically” button. Nooo we click the + sign button at the bottom left to add our first boot partition. Now we need to change the /boot partition on /dev/sda1 to a RAID1 array. Click the Device Type accordion menu then select RAID. The RAID level defaults to RAID1. Keep this for our boot volumes. Click Update Settings to save this partitions configuration. If you clicked away already joke is on you - start from 1. again. The number of times I fell for this is embarrassing. Ok now we assign our root mount point by clicking + again. If your thinking “Oh yeah we just did this, I select RAID in the Device Type here”, your going to hit one of my pet peeves. No actually we Modify the Volume Group (Think about it afterwards and it makes sense). Click the RAID Level accordion menu then select your desired RAID level (We use RAID10 in this example). Finally we just need to add a swap volume. Clicketh the + button once more. Believe it or not the swap volume is the least painful since it is just an additional logical volume on the existing RAID10 physical volume. If you wanted it in another volume group on a different physical volume I feel for you son. Ok so we are installing at last! Shortly your system should boot and your layout will be something like this. So that all seems fairly easy? Well hopefully yes! But in case you come unstuck like I did here are the traps I hit. If your reinstalling over an old deployment your almost sure to hit blivet bugs during the partitioner which annoying only happens after you spend a silly amount of time clicking around the partitioner GUI and the installer actually starts trying to get going. So first boot to rescue mode and create new MSDOS labels on each disk you plan to use for the install but do not create any partitions. So you noticed your disks are a little light on the way of free space eh? Turns out that if you didn’t fully allocate your disks during partitioning the installer no longer fills your disks for you. That physical volume is exactly large enough to fit the logical volumes you asked for and not a errant gigabyte more. So lets expand the disks because actually we really did want to add more logical volumes. Just not during install time.